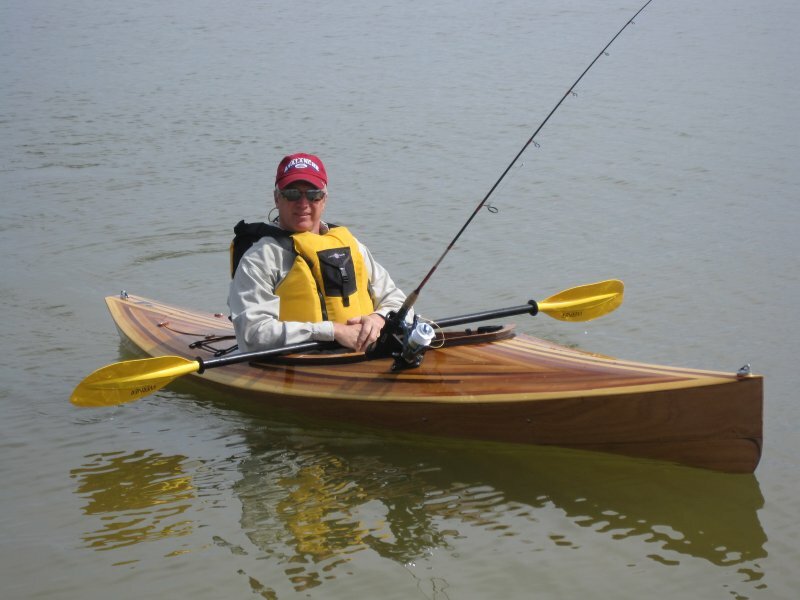 Rick Granger built this Chesapeake Light Craft Wood Duck 10 over six weeks in the winter of 2010-2011. 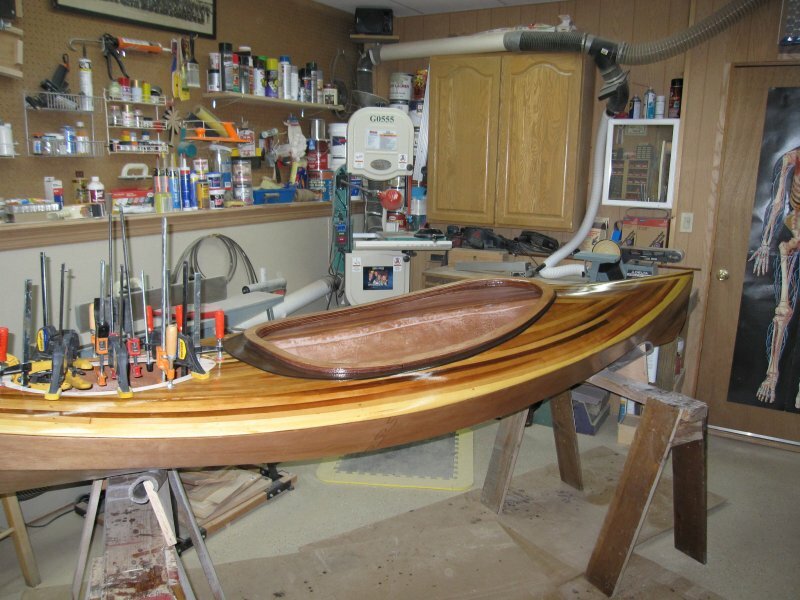 The 10' hull weighs just 34 pounds and is made from 3mm okoume plywood, with a deck of western red and white cedar strips. 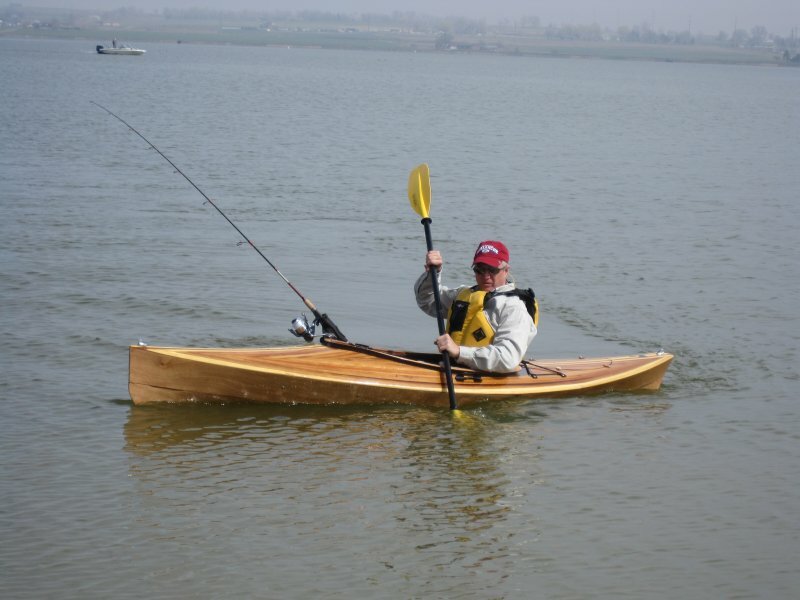 Granger added a fishing rod holder, paddle holder, and cup holder to make it the perfect craft for his fishing trips on the flat waters of Colorado. He notes that it is very stable and light enough to store on his car.